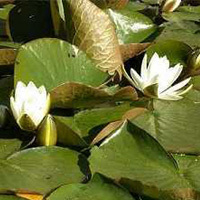 Virginalis white water lily (Nymphaea ‘Virginalis’)Â is a free flowering and dependable water lily considered by many to be one of the best all round hardy white water lilies. 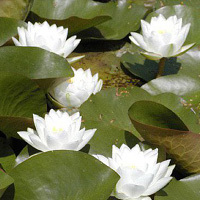 It prolifically produces large, white flowers with clear yellow centres. 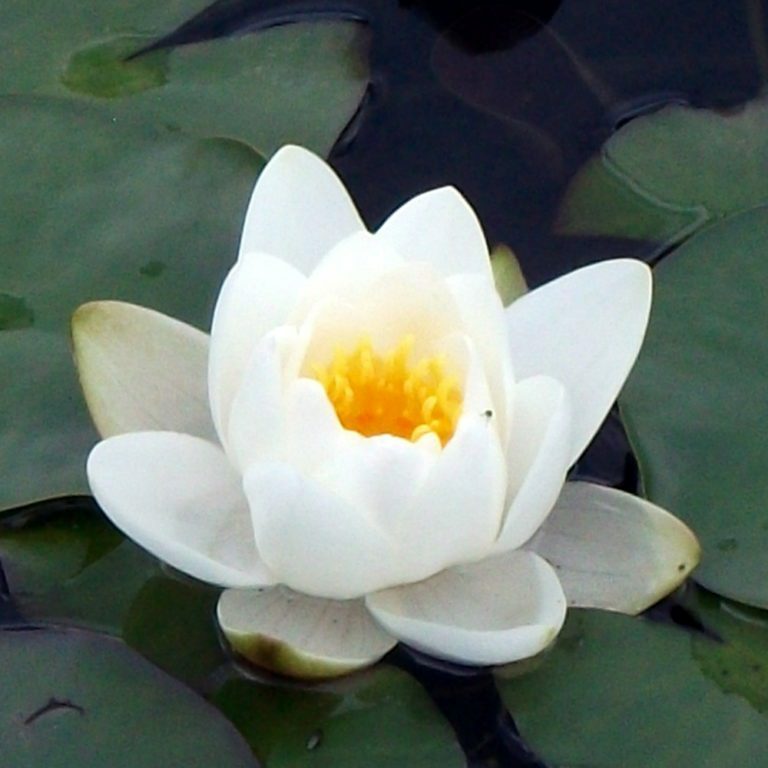 With twenty one 0r twenty two petals, these cup shaped bloomsÂ are 4.5-5.5 in (11-14 cm) across. The new flowers also have a noticeable fragrance. The newest leaves are purple or bronze and then mature to green. The leaf shape is round with lobes that overlap at the sinus and they measure 9 in (23 cm). Spread of 36-48 in (90-120 cm). 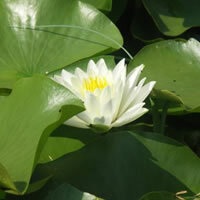 This handsome lily belongs in a medium or large pond. Planting depth 36 in (90 cm).